So you’ve jumped on the Content Marketing bandwagon – you weave your wordy magic, publish a blog post once a week and share it on social media networks. You’re doing everything right, but your efforts aren’t being rewarded. 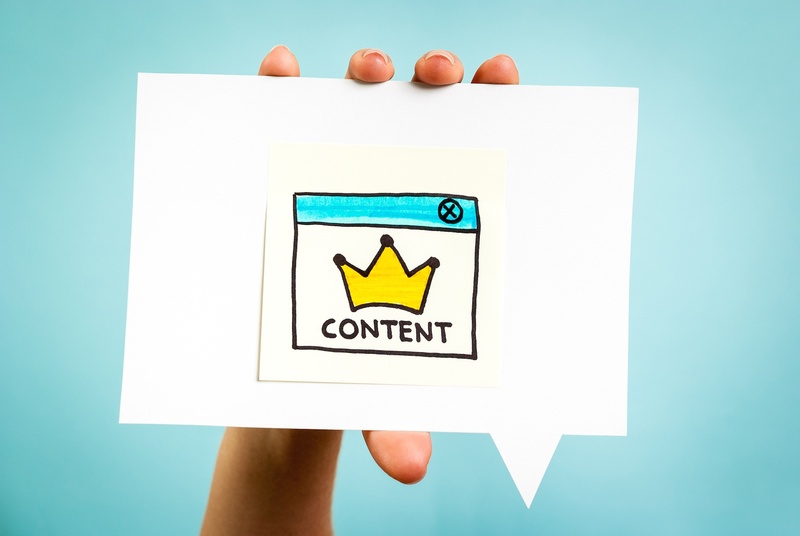 Are you sure your content is actually resonating with your desired audience? Creating content that is relevant is critical, but what many marketers don’t realise is that it comes down to more than having a way with words – it’s a science. If you haven’t got the mechanics right to begin with, it’s very likely that your messaging is off the mark. There’s no such thing as content that will be relevant to everyone. Relevance is completely audience-dependent. Part of the reason why relevance seems mysterious is because it is often viewed as a static entity – something that you can attain or achieve. In reality, relevance is a dynamic force. It is born in the identity of the user and responded to in the content of the marketer. Relevance is more of a conversation than it is about cool design, a trendy logo, a stylistic flair, or the right colours. That’s why you need to create a buyer persona or a customer persona. You need to understand your users before you can ever hope to be relevant to them. 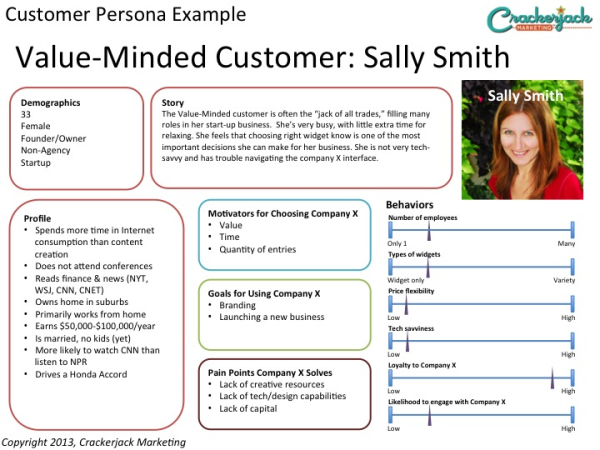 Here is an example of a customer persona. 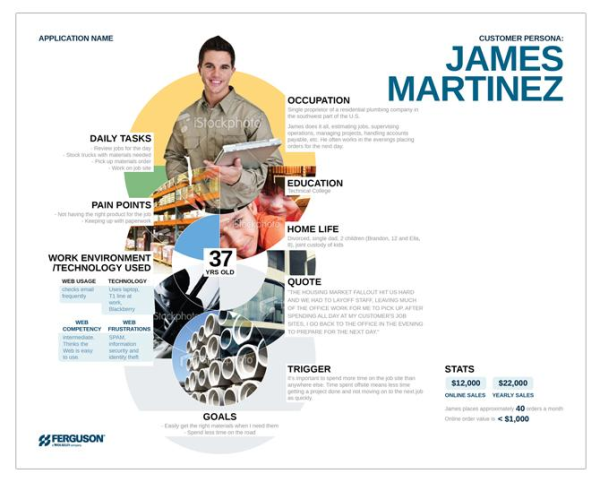 The persona can be as detailed as you want, complete with pictures or a snazzy design. A persona should capture the basic essence of who is buying your product, and why they’re buying it. The fact that they may drive a Honda Accord or have a blond 5-year-old nephew is not important by itself. The important things are the motivations and problems that the customer is experiencing. Only by understanding who the customer is can you address her problems, her questions, her concerns, her interests, and enter into her world. Relevance begins with knowing. If you’re lucky, you already have a persona somewhere buried deep within your marketing materials. If you don’t have a persona, create one. It will be well worth your time. 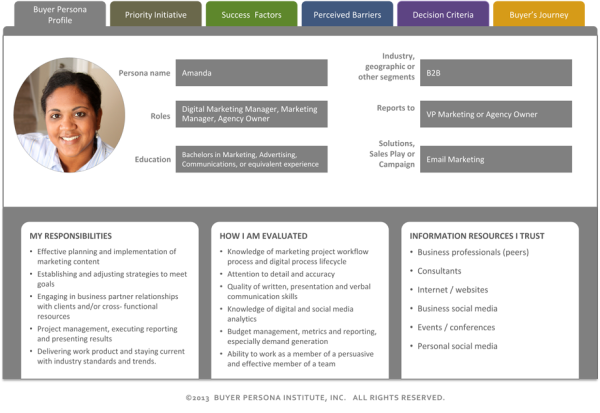 If this is the first time you’re reading about buyer personas, that’s a lot to take in! To read the nine other equally comprehensive points, head to the CMI blog to read the full article, ‘10 Ways to Make Your Website Content More Relevant (and Rank Higher)’. You might also like to download our eBook (below), which is a comprehensive guide to transforming your marketing for the digital age. Weekly inspiration, advice and guidance on the changes sweeping the B2B Marketing function. We'd love you to contribute by adding your own thoughts and experiences to the comments section.